An addition to the company’s Intercept modular metal panel system, Intercept LVLZ is a rainscreen that integrates seamlessly with Intercept Entyre for dramatic plane changes. 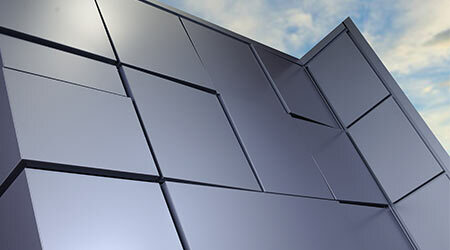 The product makes façades stand out, creating as much as a 21⁄2-inch difference in panel-to-panel depth, to add a level of relief and contrast to any elevation. Panels are available in depths ranging from 2 to 4 inches and sizes spanning 48-by-120 inches and 30-by-138 inches for both horizontal and vertical orientations. Standard vertical and horizontal panel joint reveals are 3⁄4-inches wide.